Sustainability reporting is the key platform for communicating sustainability performance and impacts. 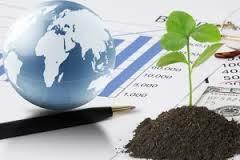 A sustainability report in its basic form is a report about an organization’s environmental and social performance. To make this reporting be as useful as possible for managers, executives, analysts, shareholders and stakeholders. A unified standard that allows reports to be quickly assessed, fairly judged and simply compared is a critical asset. As firms worldwide have embraced sustainability reporting, the most widely adopted framework has been the Global Reporting Initiative (GRI) Sustainability Reporting Framework. It can be considered as synonymous with other terms for non-financial reporting; triple bottom line reporting, corporate social responsibility (CSR) reporting. Building and maintaining trust in businesses and governments is fundamental to achieving a sustainable economy and world. Every day, decisions are made by businesses and governments which have direct impacts on their stakeholders, such as financial institutions, labor organizations, civil society and citizens, and the level of trust they have with them. These decisions are rarely based on financial information alone. They are based on an assessment of risk and opportunity using information on a wide variety of immediate and future issues. The value of the sustainability reporting process is that it ensures organizations consider their impacts on these sustainability issues, and enables them to be transparent about the risks and opportunities they face. Stakeholders also play a crucial role in identifying these risks and opportunities for organizations, particularly those that are non-financial. This increased transparency leads to better decision making, which helps build and maintain trust in businesses and governments. A 2011 survey on corporate reputation found that expanding transparency and reporting positive deeds were the two most important ways to build public trust in business. The 2013 Boston College Center for Corporate Citizenship and EY survey revealed that more than 50% of respondents issuing sustainability reports stated that those reports helped improve firm reputation. Reporting firms rank highly for sustainability and have Kaplan-Zingales Index scores that are 0.6 lower than the scores for low-sustainability companies. A lower score signifies fewer capital constraints. Here is a collection of sustainability reports of different companies and organizations from various sectors and industries. EcoVadis helps companies like yours to measure and report on sustainability in their sustainable procurement. Contact us to learn more!